During the spring 2016 semester, the sisters of Phi Sigma Rho held their first annual "Lego Wars" Lego building competition philanthropy. All proceeds go to support our philanthropy the Leukemia and Lymphoma Society. 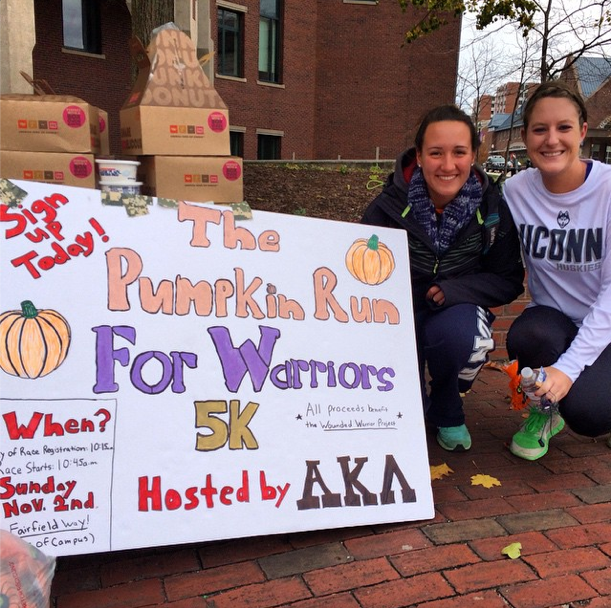 All students across campus are able to participate in the event. Phi Sigma Rho encourages young women to excel in Math and Science through programs such as Multiply Your Options. 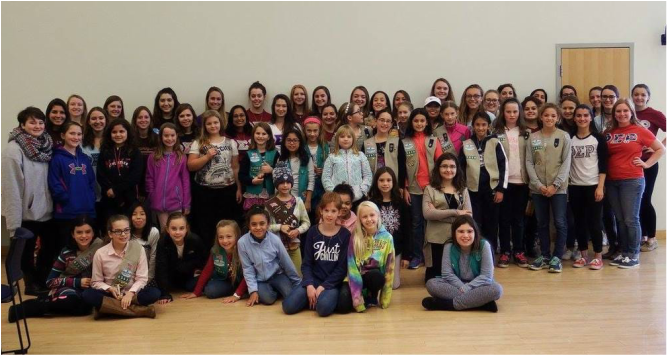 We have an annual event called Get Set where Girl Scouts from surrounding areas come to campus and learn about different types of engineering. The girls play fun games that teach them about math, science and engineering. They even make delicious s'mores! 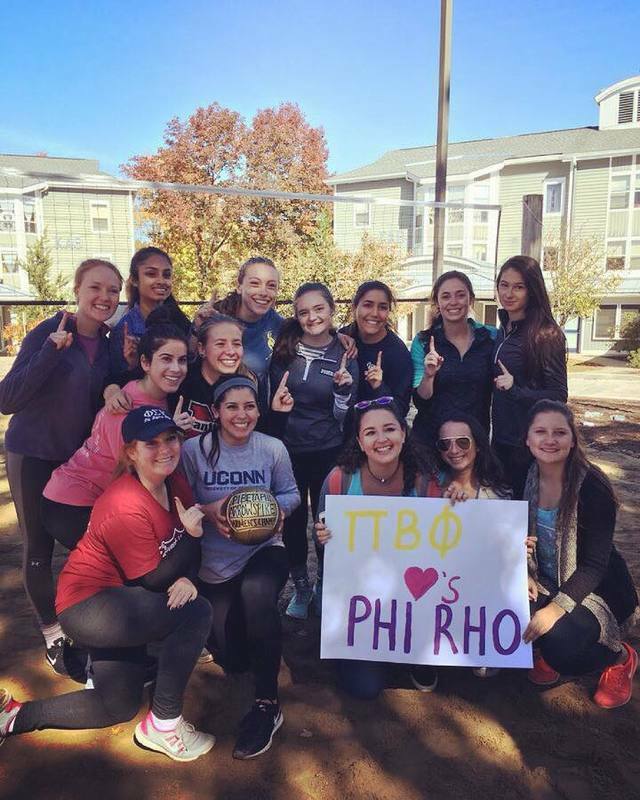 Our fall semester philanthropy event is the Phi Rho Four Square Tournament! Teams of four register to battle it out in this classic childhood recess game. But don't be mistaken, it gets very intense. The final round is a giant version of Four Square where teams fight to the finish for the coveted Phi Rho Four Square Champion's hardware! All proceeds raised at this event goes to our philanthropy the Leukemia & Lymphoma Society. 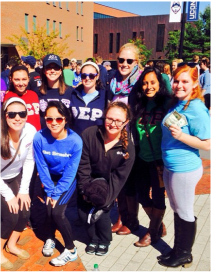 Every year Phi Sigma Rho participates in HuskyTHON, an 18 hour dance marathon at UConn. Sisters give their time as Miracle Walk models, volunteers, dancers, morale captains and management team members! We dance for the kids who can't. It's so great dancing with your sisters by your side for 18 hours supporting you. Last year HuskyTHON raised nearly half a million dollars for Connecticut Children's Medical Center! 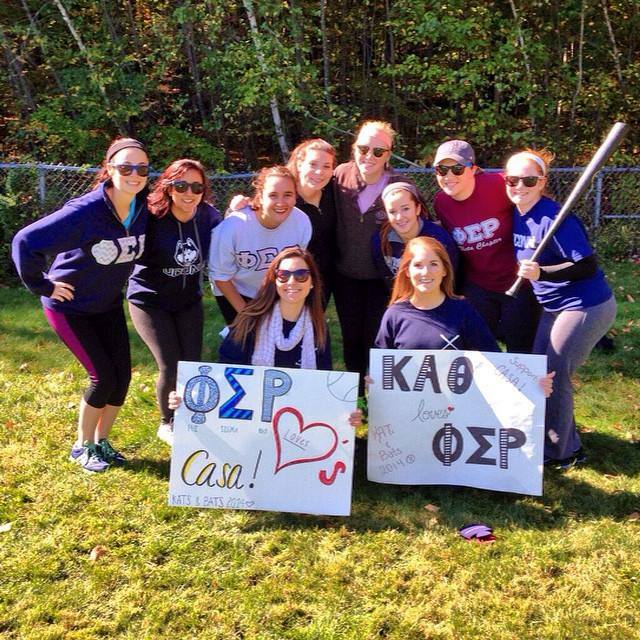 We show our support of other Greek organizations by participating in their philanthropy events as well! 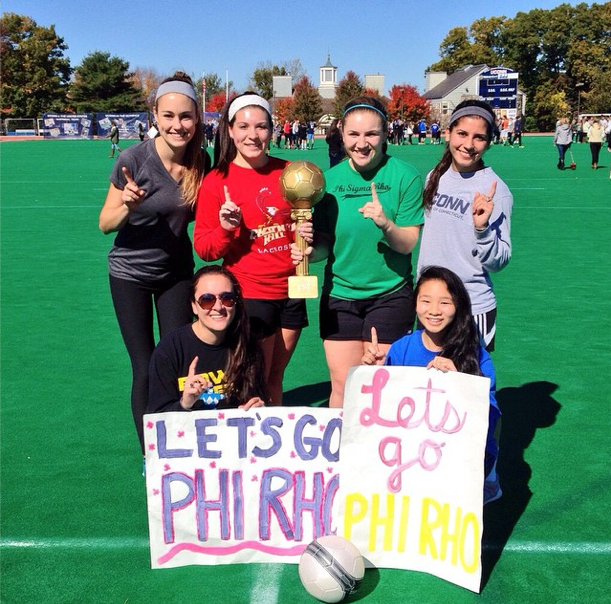 Alpha Phi's FIFA CHAMPS 2014! Pi Phi's Arrow Spike CHAMPS 2016!